Water protection areas represent 17% of the area in Slovenia. Of this 61% is forest, 30% agricultural land, 6% urban land and 3% other surfaces. 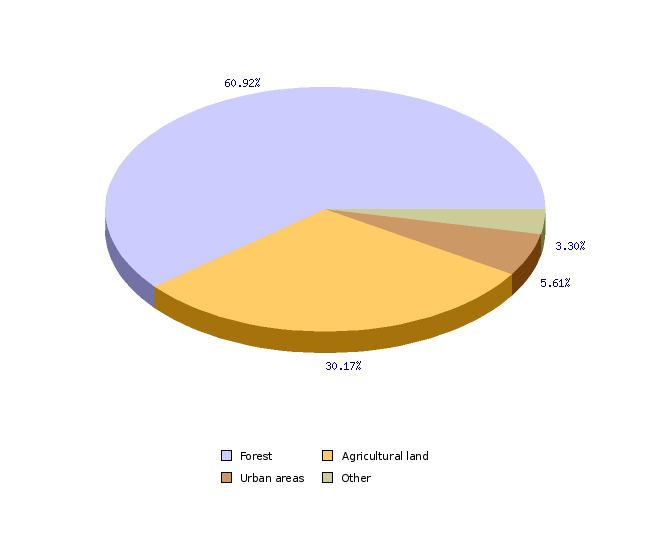 From agricultural land on the WPA, 49% is grassland, 36% arable land, and permanent crops, agricultural land in afforestation and other agricultural land by 5% each. 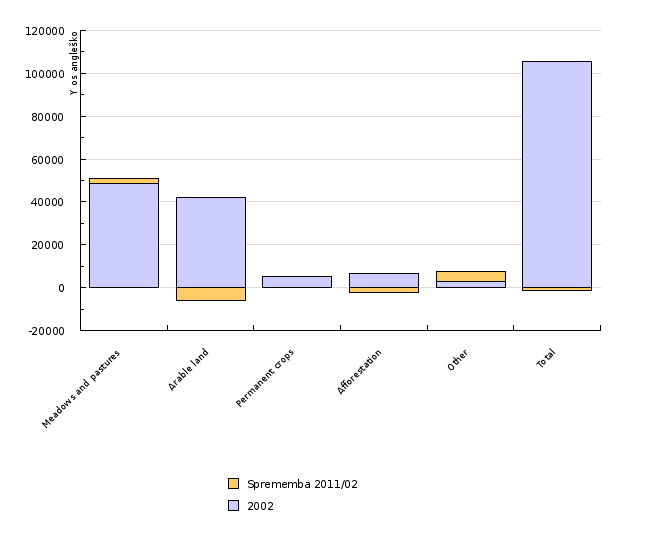 In the period 2002-2011 have increased the forest areas (1.3%) and urban land (2.3%), and decreased agricultural land (to 1228 ha, or 1.2%). 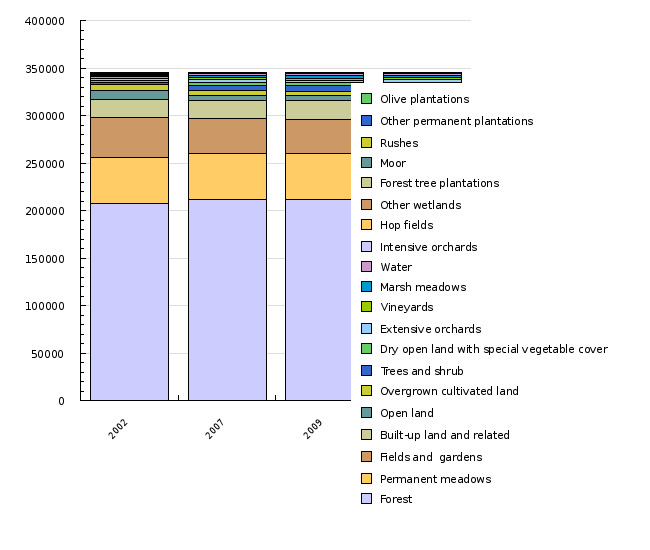 In the structure of agricultural land have increased over this period the surface of permanent grassland (4.3%) and permanent crops (1.9%), and decreased arable land (14.1%) and agricultural land in afforestation (to 31.3%).